How does the current Supply & Demand affect you? In a hot seller’s market, it’s more difficult to buy because there will be a lot of competition for each listing (theoretically, at least). This is great news for sellers! 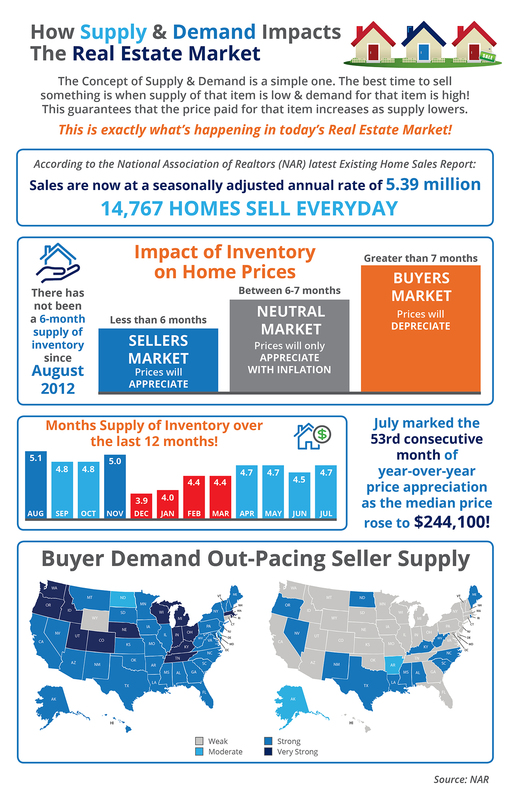 But typically, if you are selling your home, you’ll also be buying another home. That means you too will be competing in a hot market. Be smart and be ahead of the game. Contact a Realtor first, and focus on buying your next home BEFORE you sell your current home.